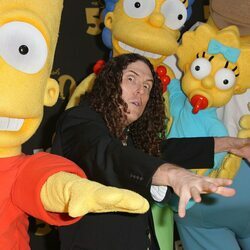 How much is Weird Al Yankovic Worth? 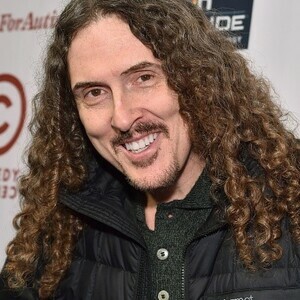 Weird Al Yankovic net worth: Weird Al Yankovic is an American singer, songwriter, comedian, actor and music producer who has a net worth of $16 million. Weird Al released his first song parody in 1979. Over the next 30 years he has gone on to release dozens of singles and sell more than 12 million albums world wide, more than any other comedian in history. During his career he has released four gold records, and six platinum records. He has won four Grammys. In 1989, Al wrote and starred in his own full-length feature film titled "UHF". More recently he has directed music videos for several popular artists including Ben Folds and Hanson. Al Yankovic began playing accordion at age six and continued lessons for the next three years. He skipped the second grade, and was labeled a "nerd" early on, taking no interest in social events or sports. Al was a straight-A student and graduated high school as valedictorian. In 1979 he recorded "My Bologna", a parody of The Knack's hit song "My Sharona". Soon after, Yankovic signed a six-month contract with Capitol Records. 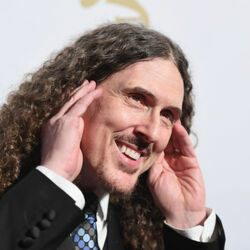 For his next track, Yankovic recorded a live parody of Queen's "Another One Bites the Dust" on the Dr. Demento radio show, in 1980. On the track, Jon "Bermuda" Schwartz played drums on an accordion case to add to the comedic effect. Many people thought that the 1980s and early 90s would be the peak of Al's peak of popularity, but he has consistently proven his staying power. He released dozens of new songs and began touring extensively. He continues to record and release music today. In 2007 he released his longest tracks, "Albuquerque" and "Trapped in the Drive-Thru". In 2009 he released "Craigslist" and "Skipper Dan", among others, all which he released through a digital EP titled Internet Leaks. 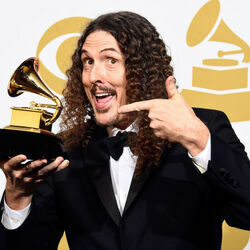 On August 28, 2009, Rolling Stone ranked Weird Al first on a reader poll of "who most deserves to be enshrined in the Rock and Roll Hall of Fame." His 2014 album "Mandatory Fun" hit #1 on the charts.